As a kid, summer was what I waited for, longed for. The anticipation was as exciting as waking up on a Saturday morning, and tossing the covers to the side as I hurried to watch my favorite cartoons (because that was the only time cartoons were on. We didn’t have 175 channels for kids back then). I counted the days until the last day of school and as soon as it became warm enough to open the windows in class, only my body remained in session because my mind completely checked out. I’d daydream about all the adventures (trouble) I’d get into and with the help of a great childhood best friend, we did just that. Everyday we’d go to the Park District pool, get kicked out of the Park District pool, sneak into places we never should have been, and ride our bikes around town while searching for new places to make into our “hideout” that only we knew about. We enjoyed a freedom that most kids don’t get to experience today because we didn’t have cellphones that would allow us to be tracked down by our parents at any given moment. If they needed us, they had to wait until we got home (and I always made it a point to ignore when the streetlights came on because I hated that rule). Now, my side-kick is gone – married with kids – but I still count down the days for school to be out, but not for me, for my kiddies, because they are the ones I now take with me on my adventures. 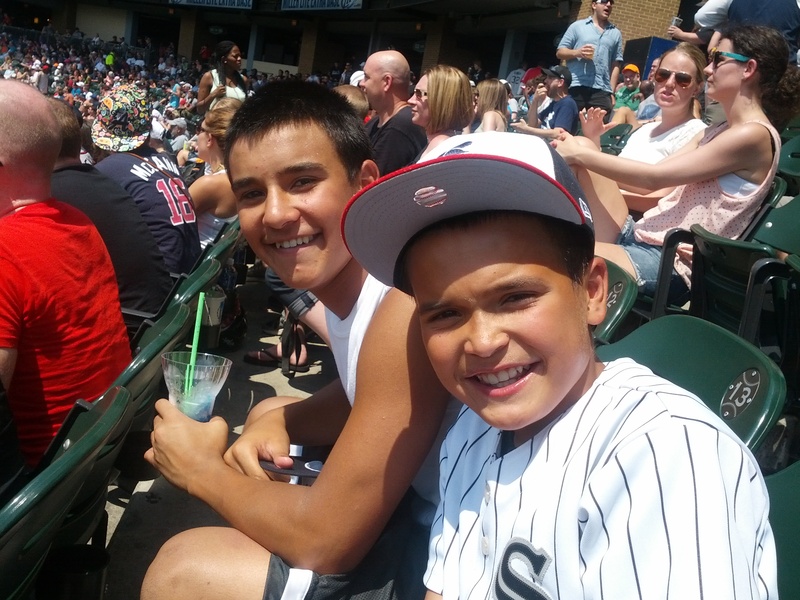 They are my “side-kicks” now and our “adventures” usually take us to the South Side – to Sox Park – for a Sox game. 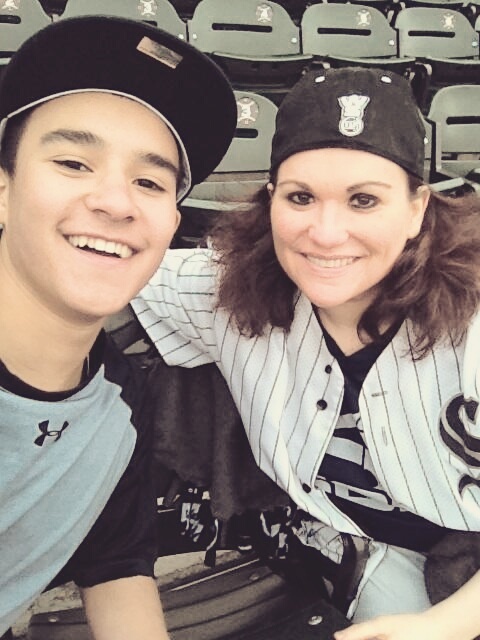 But we don’t just “go” to Sox games. We “travel” there. I have a Sox CD burned with songs that can only be listened to while driving to a Sox game and it is put on at a specific point in our destination because a certain song must be playing the second the stadium comes to view. It’s a beautiful moment. We also don’t just “attend” a game. We “experience” it. There are food items I am only allowed to eat when I am with my nephew because we tasted it the first time together and it has become our tradition to eat it together. Seriously, on the way to the game he’ll ask me what inning we should eat our favorite food. If I dare attend a game without them (and believe me, this instance is treated like a treacherous scandal) I am questioned later if I ate said food. “No, I did not,” I’d always respond. (Okay, one time I did but I am gluten-free and therefore am VERY limited in my options at the ballpark, so I need some slack). My favorite summer memories revolve around baseball, but for far more reasons than just the sport of it. It’s sentimental to me. I hold close to me very fond memories of watching games with my father, who passed away 18 years ago. It’s how I became a fan in the first place. One day a little girl walked into her living room and her father was sitting on the couch with a game on. 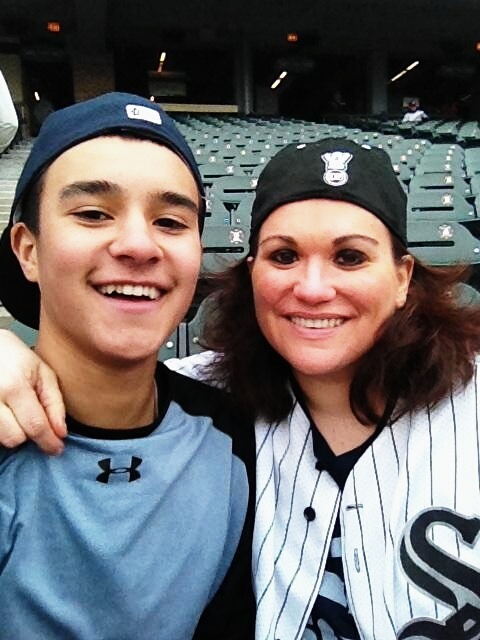 She sat beside him and watched the first of what would become many, many games with him. Yet still, I wish there were could have been more. I know my nephews will hold close these memories and look back fondly at them in years to come. Whenever they see an old lady at a game they point out that that will be me someday and they will be the ones taking me to the games. I laugh because although I am in no hurry to get old and gray, my boys have left me with something to look forward to. I’ve realized that no matter how bright the sun may be on the most gorgeous of summer days, it always shines a little brighter when you’re sharing it with someone you love.